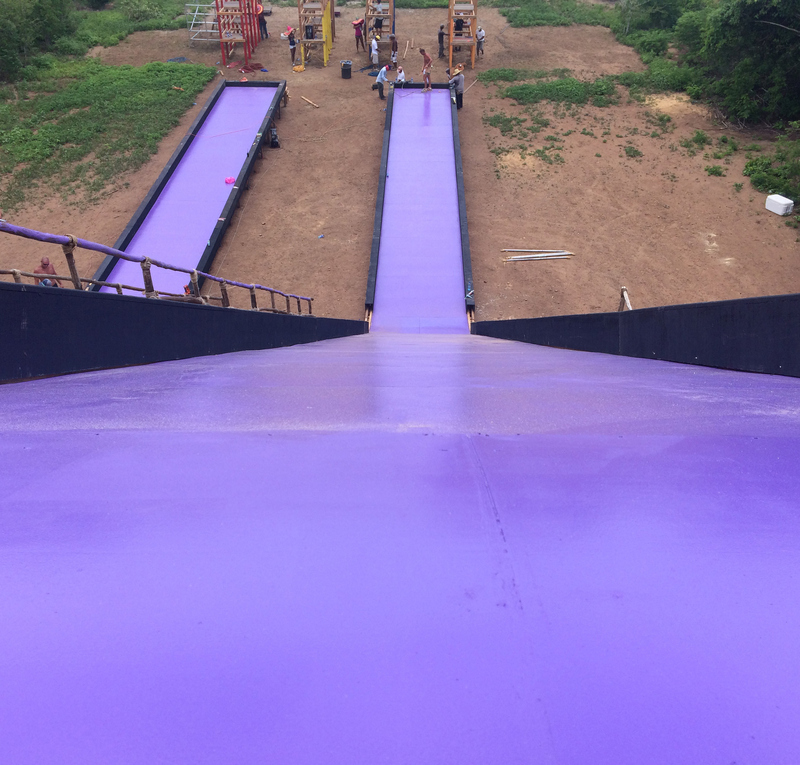 These are the largest slides ever built on Survivor. The slides are set at a 45-degree angle and the height of the tower sits at almost 40 feet. To make this the ultimate water slide, there is over two tons of water being held at the top of the tower.